I thought it would be difficult to choose a picture for the last day of school. 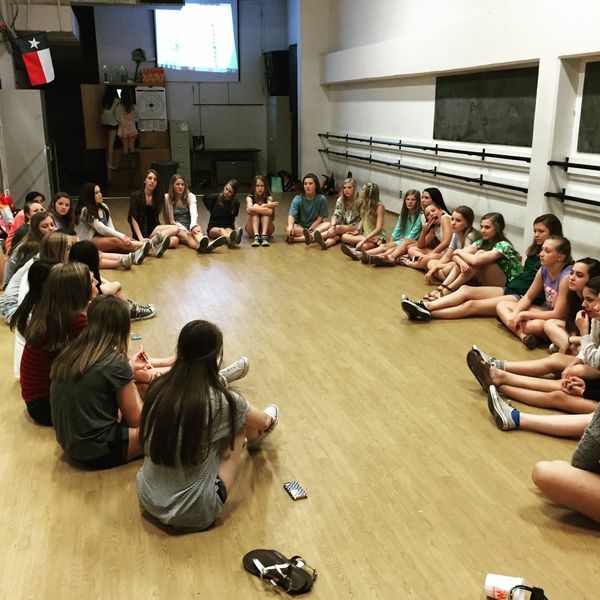 But when I walked into the dance gym to deliver a message to Ms. Hutson, I found the 7th and 8th grade girls doing a "Memoir Circle", telling the group their favorite memory from the year. What an excellent way to close out the year! Students, I will miss you all, but I know that you are ready for a break from us adults. I'll see you guys again in August!